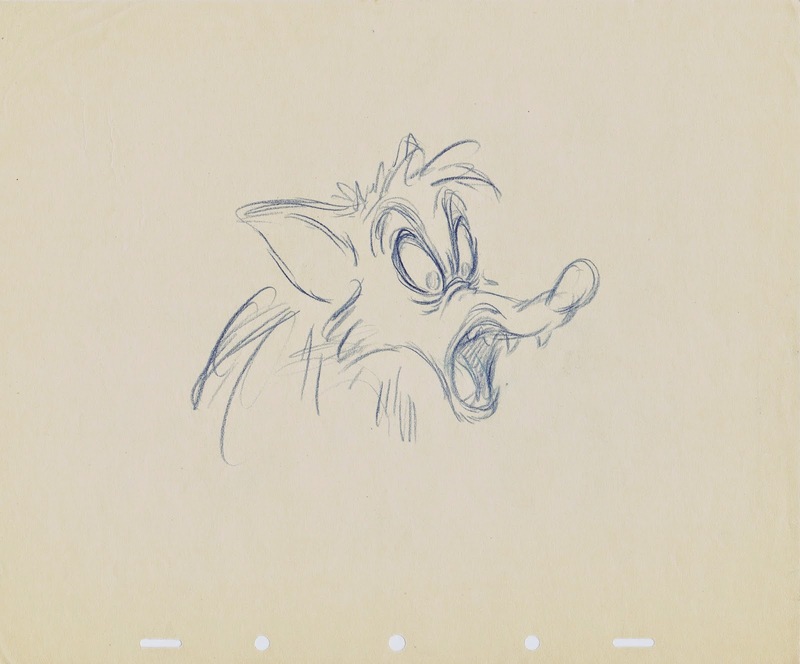 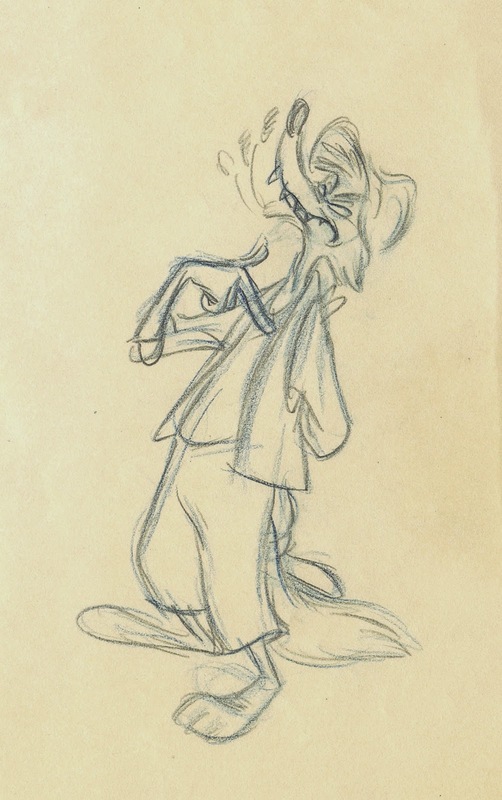 It’s hard to imagine that story artist Bill Peet’s first character sketches of Brer Fox looked already this refined and so full of personality. 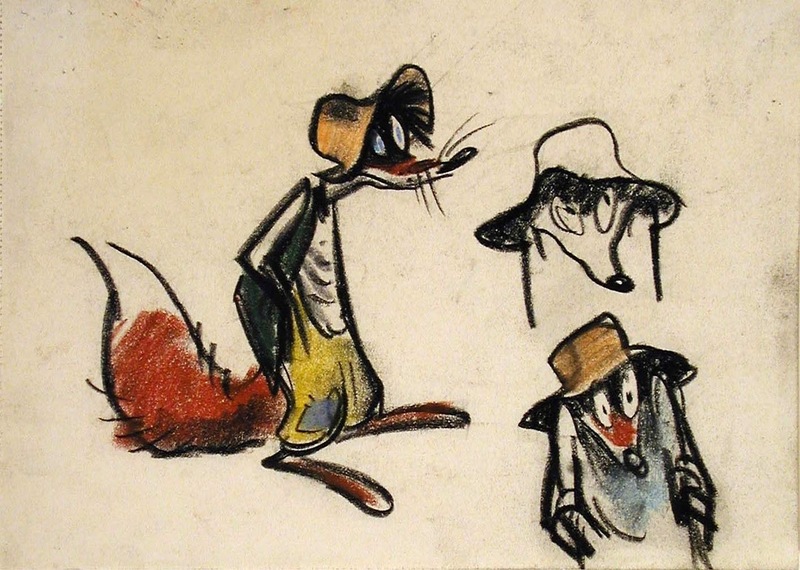 He immediately came up with unconventional, appealing designs that worked perfectly for the film and were almost ready for animation. 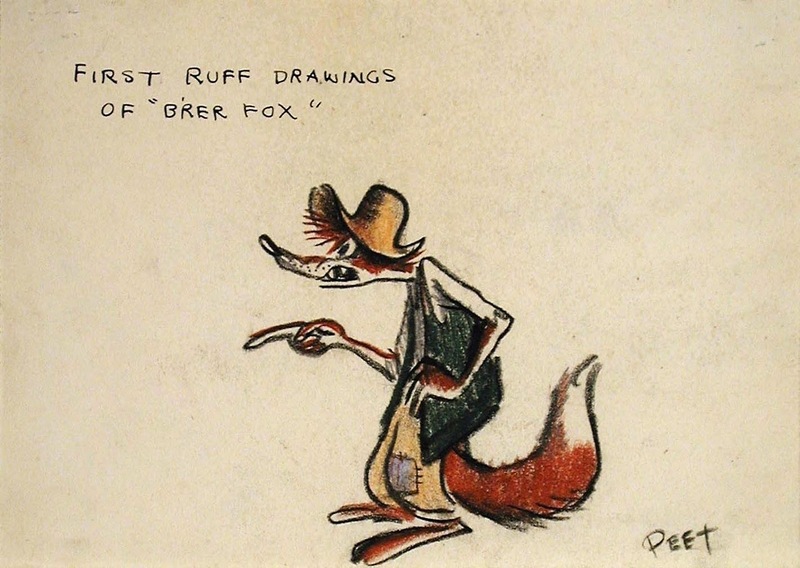 There is a sort of hillbilly look about the fox, with his big hat covering his ears completely. 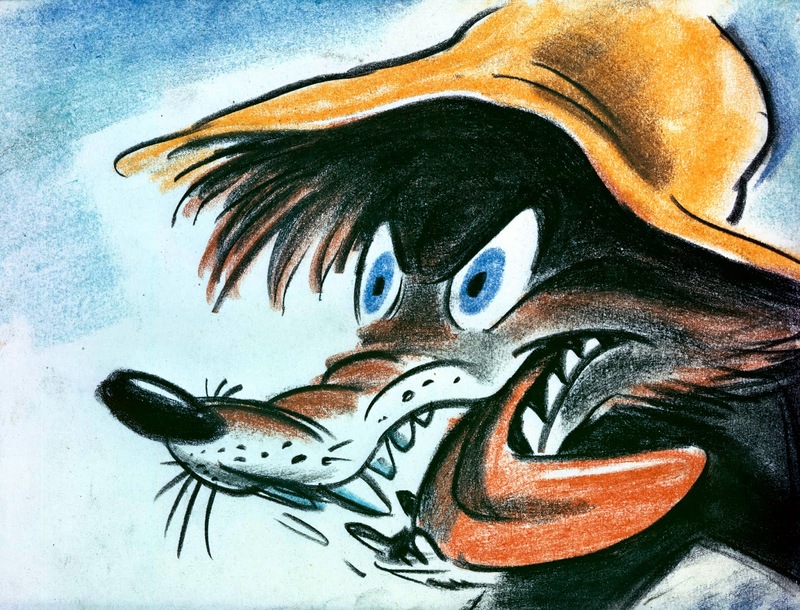 Characters like him as well as the rabbit and the bear have this juicy graphic bite, you just want to pick up the pencil and animate them. 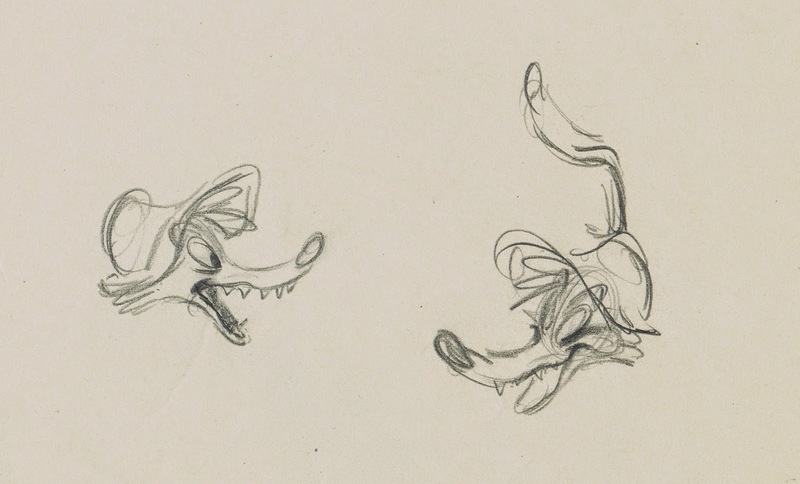 A few of Peet's final story sketches, can you tell he had a ball working on this film? 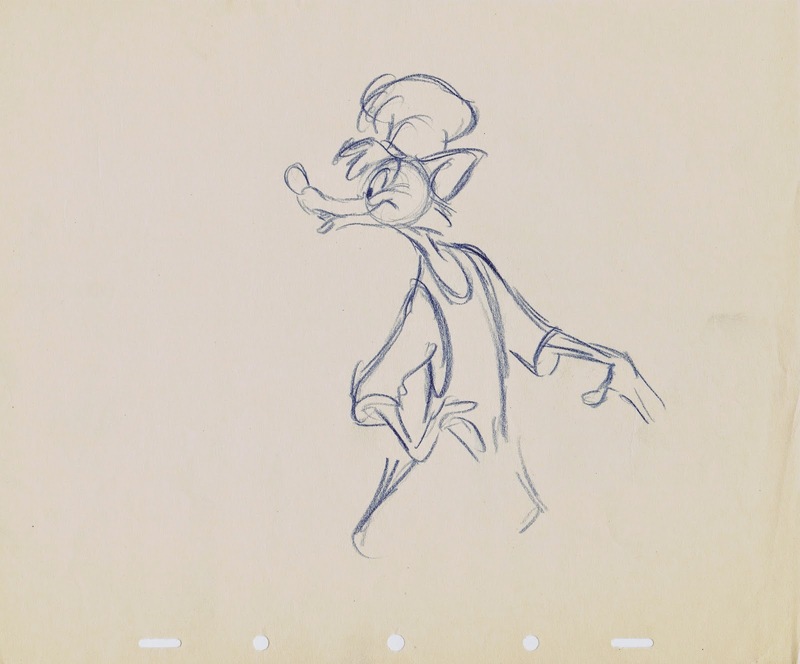 Milt Kahl refined Peet’s design to animation perfection. 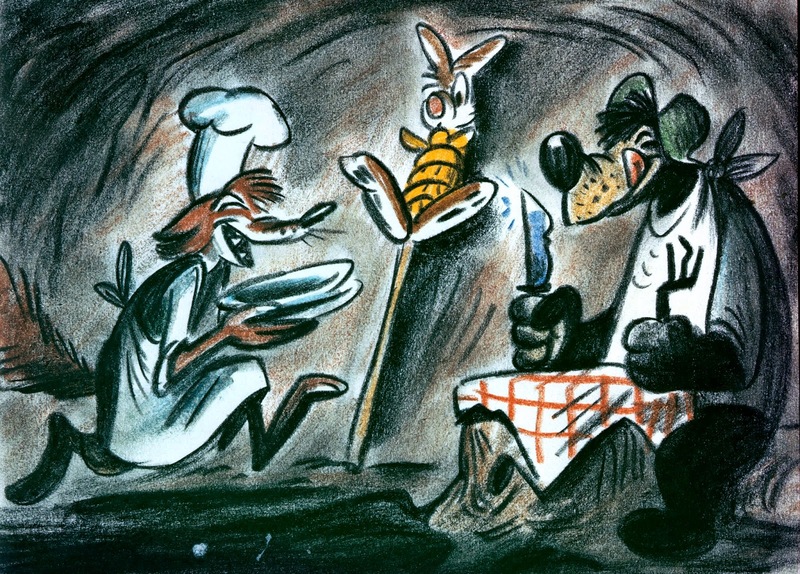 These were some of Milt’s favorite characters he ever worked on. 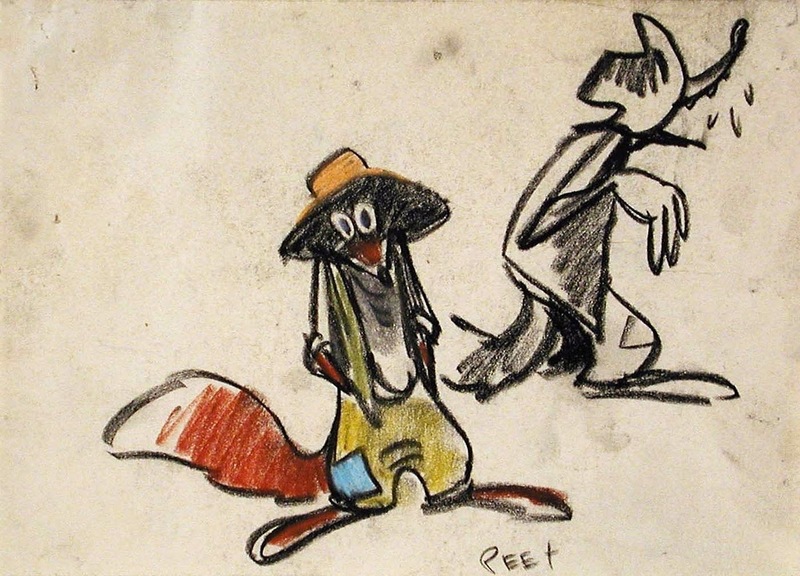 The same can be said for Peet. 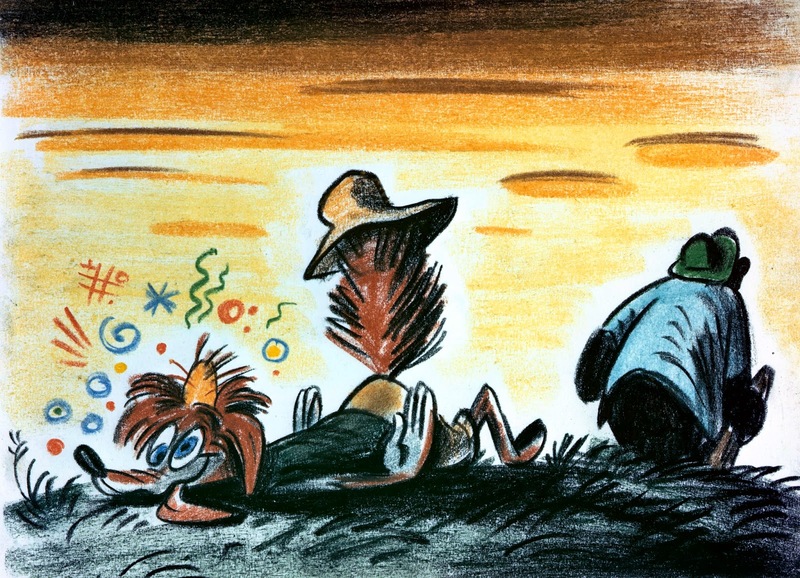 The energy within the Song of the South characters is unique and inspiring. 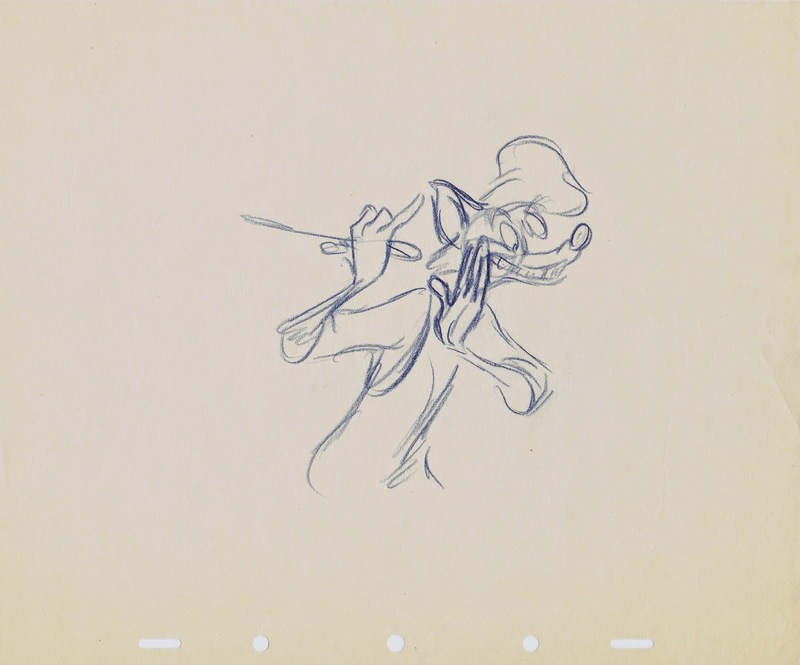 A top team of animators brought them to life: Kahl, Larson, Johnston, Les Clark, M. Davis and Lounsbery.